Posted on August 7, 2016 by Tap This Brewing Co. 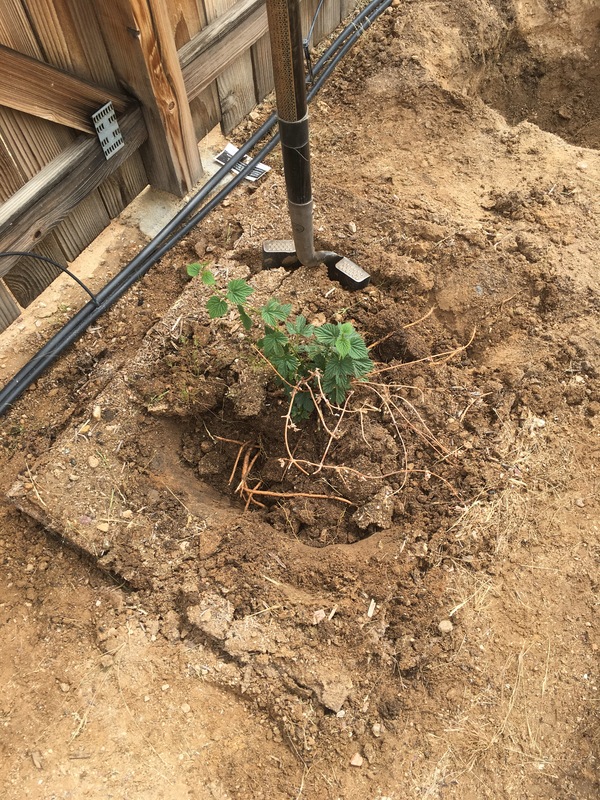 If you have been following on Facebook or Twitter you would have seen the work that I did on my hops. When I first bought them I chose to plant six varieties and after the first year, and into the second, a few of them weren’t producing very well. I think this was mostly due to my climate, being in the desert, the direct sun and heat didn’t help out. During the third year I changed out three of the plants and stuck with 3 varieties – Cascade, Chinook, and Fuggles. The Cascade and Chinook did really well, however the Fuggles was not coming through as I had hoped. This year I decided to take out all my plants except the Cascade. 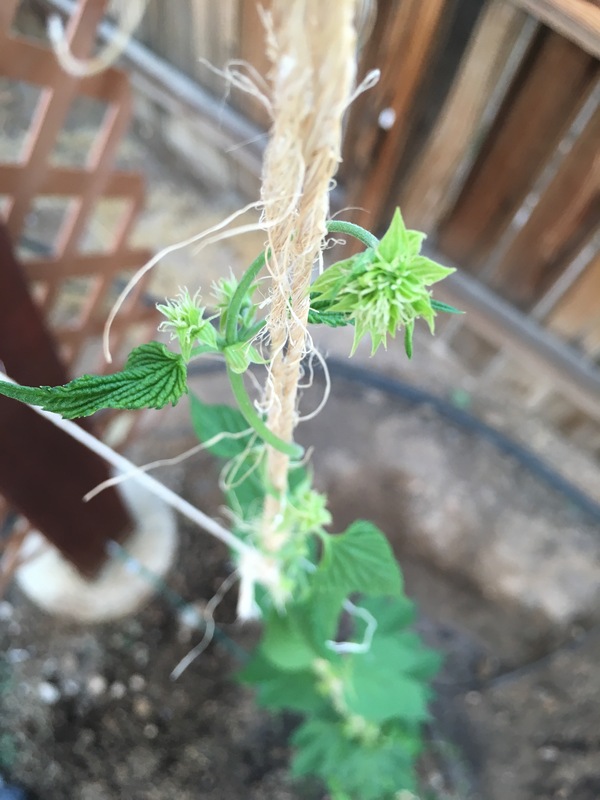 I wanted to have one variety now so that way I didn’t have to worry about the roots coming up in the other plants, and I would yield a lot more hops during harvest time. 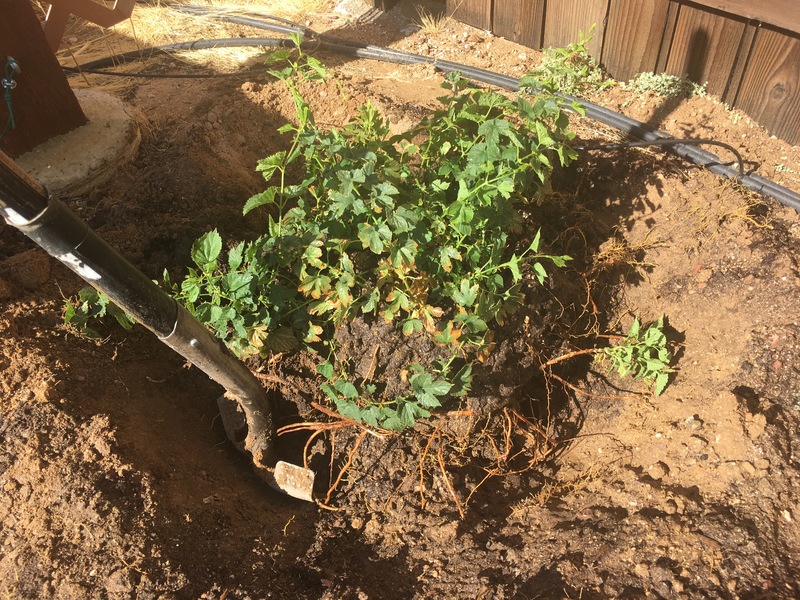 Needless to say there was a lot of digging up that had to be done and I had to split my Cascade into 6 total plants. The process went really well even though it was extremely hot out. 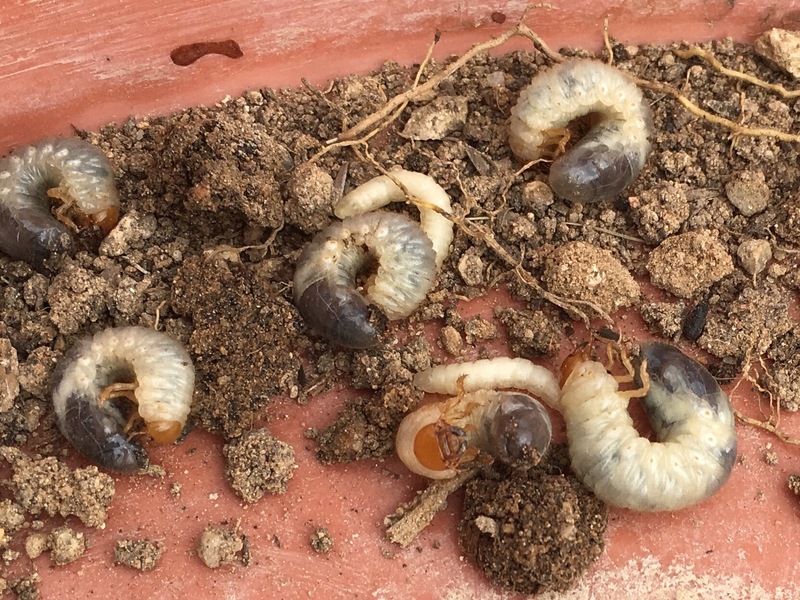 The grub worms were picked out as much as possible. Yuk! Now that it is August and my plants have had some time to settle in, they are all doing pretty good with a couple reaching 9 foot in height. 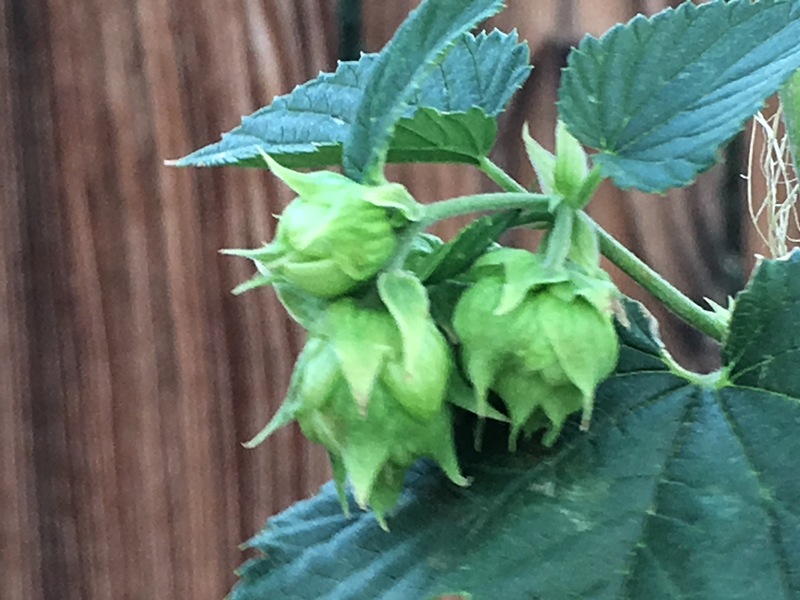 All of the plants are flowering and one of them has turned into hop cones. 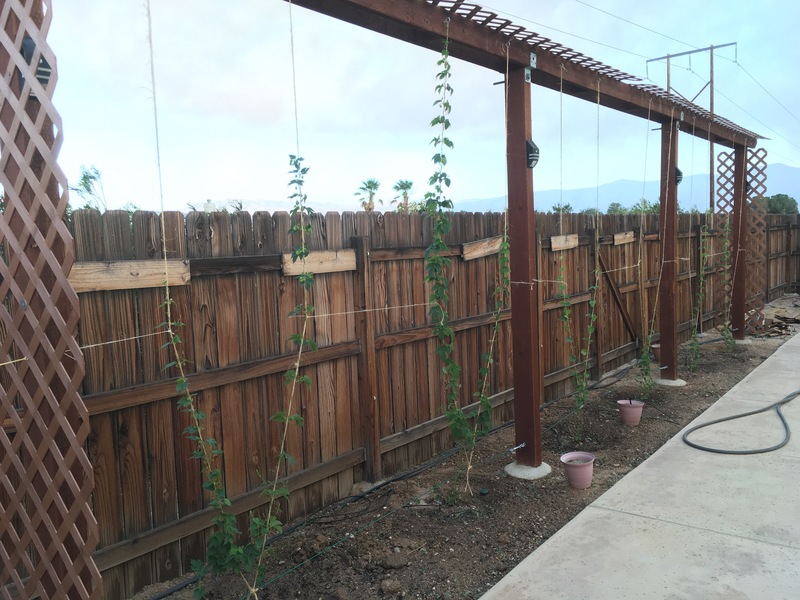 Since it gets windy almost every afternoon, I have to add some support strings to keep the hop bines in place. This way they don’t get thrown around like a ragdoll. Looking forward to the harvest now. While I was working on them there was a lot of smoke going across the valley from a fire in the nearby mountains. I managed to capture this view from one of my plants. 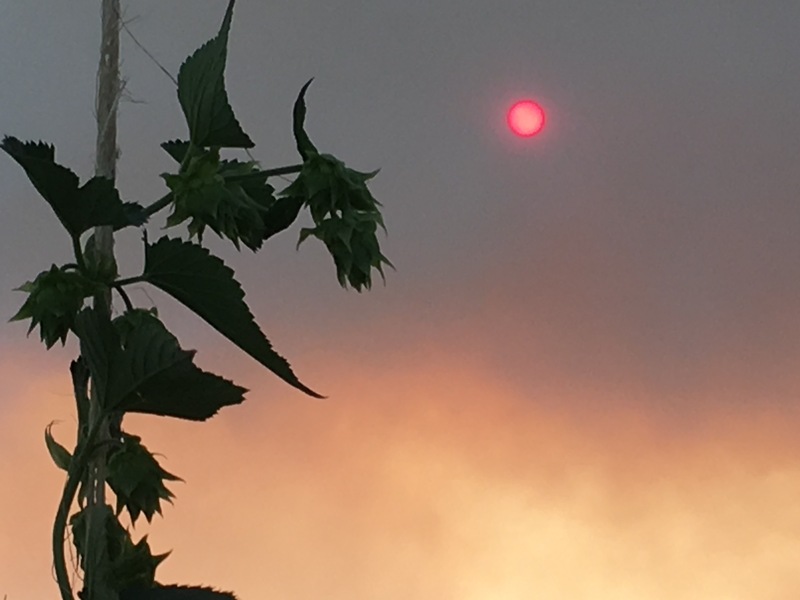 Look for my upcoming posts when I harvest the hops.